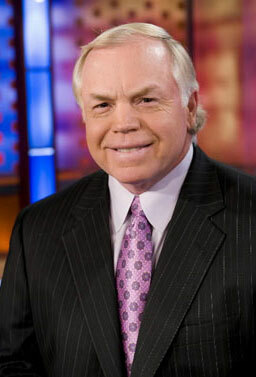 Former Century resident and current ESPN analyst Buck Showalter will speak at an upcoming Pensacola Pelicans banquet. 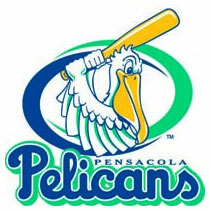 The Pensacola Pelicans will host their Second Ever Hot Stove Banquet on Monday, March 22 from 5 p.m. to 8 p.m. at The Sanders Beach Community Center. Former MLB manager and current ESPN Baseball Tonight analyst Buck Showalter will be the featured speaker. Showalter was born in DeFuniak Springs, FL and grew up in Century, just north of Pensacola. Showalter, who now lives in Dallas, had three different managerial stints in the majors with the New York Yankees, the Arizona Diamondbacks, and the Texas Rangers. Showalter first managed the Yankees from 1992-1995 for 581 games posting a 313-268 record finishing 45 games over .500 with a .539 win/loss percentage. He was voted 1994 AL Manager of the Year after the Yankees finished first in the AL East going 70-43. Unfortunately, there would be no post-season in 1994 due to the strike. He made it to his first post-season appearance in 1995, losing the divisional series 3-2 to the Seattle Mariners. Showalter moved on to the Arizona Diamondbacks where he managed 486 games from 1998-2000 with a 250-236 record. His best season with the Diamondbacks came in 1999 when they finished first in the NL West going 100-62 and eventually losing in the divisional series 3-1 to the NY Mets. Showalter took over as Texas Rangers skipper in 2003-2006 posting a 319-329 record in 648 games. He was selected 2004 AL Manager of the Year with the Texas Rangers going 89-73 with a .549 win/loss percentage. The banquet is free to Pelicans season ticket holders and certain level sponsors. The public can attend for $30, which also gets them two tickets to the 2010 home opener, by reserving their spot at Jason@pensacolapelicans.com or by calling 850-934-8444. It’s not too late to get invited to this and other VIP Pelicans events. 2010 season ticket packages area now available starting at only $160. 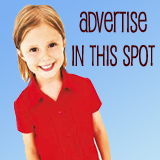 Other gift packages begin at $54. Fans can call the Pelicans office at 850-934-8444 for more information or to reserve their seats. Igrew up across the street from “Nat Showalter” he was always articulate,studious and good hearted, He worked hard at sports yet always made time for others who were not as talented as he ; whether it was in sports, music, education or just being a decent guy . After hearing the comment made on Sportscenter regarding Showalter disrespecting the Red Sox manager I (One of little or no importance ) BELIEVE WE NEED TO WATCH BASEBALL AND LEAVE THE GOSSIP TO TMZ and the OTHERS WHO MAKE THEIR LIVING OFF OF IT .